Scents can trigger memories, affect your mood, and create a sense of well being. With summer in full swing, many might shy away from lighting candles to create the fragrances they so love. An open flame in 100 degree weather? Not very appealing. 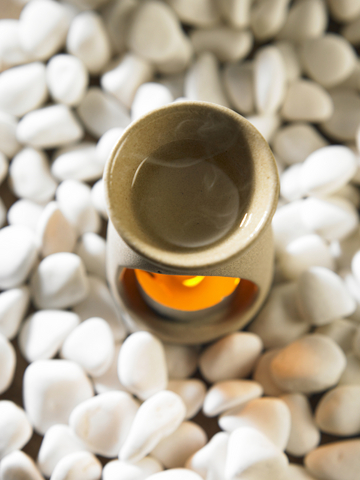 So what can we use to scent our living and work spaces without adding to the heat? More and more people are turning to wax tarts as wickless alternatives to burning candles. What is a tart? 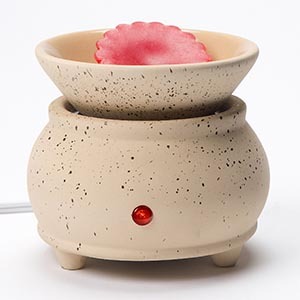 A tart (also known as a wax melt, wax potpourri, or scent disk) is highly scented wax poured into molds…with no wick! Tarts can come in a variety of clever shapes, depending on what mold is used. A tart is one of the most efficient ways to fragrance your living space. No wick means no open flame to add to the heat of the day, and tarts can be used in places candles aren’t allowed..like offices or dorm rooms! Tarts have the potential to be stronger than candles (no flame means more fragrance can be added! ), and they are extremely user friendly. To use a tart, simply place the wax tart in an approved tart warmer and turn on. Once the tart has melted (it should be fully melted within 35 minutes or so), the fragrance is released. A good tart will last a minimum of 8 hours, depending on the type of warmer used, the fragrance itself and how long the burner is on. Another wonderful benefit of tarts? When you’re tired of smelling a certain fragrance, you can simply change tarts! Unlike a candle, the wax does NOT disappear. If using a warmer with a removable bowl, once the fragrance has faded (or you want something new), turn the warmer off and let the wax cool and harden. Once cool, you place the removable bowl in the freezer for about 10 minutes, remove from the freezer and the wax should just pop out! NEVER place cold (frozen) bowl back on the warmer, please wait for the bowl to reach room temperature. Another option is to simply pour the hot wax into a jar or can and wipe the bowl clean (please be careful, wax and bowl will be very hot). NEVER pour the wax into your sink, while it may get rid of that icky leftover spaghetti smell, it will clog your pipes! Easy to use, tarts are also easier to store than candles (and a lot less bulky). Tarts should be stored in their own packaging. Keeping them in a cool dark area (a drawer or a closet) will help preserve their longevity. For best results, tarts should be used within 6 months, however, some tarts may last up to one year depending on the scent. Storing multiple scents together may cause the scents of those tarts to intermingle. Nothing like lilac cinnamon grapefruit tarts to make you gag! Now that tarts have been explained, what is the best way to melt them? There are a variety of tart warmers on the market today. 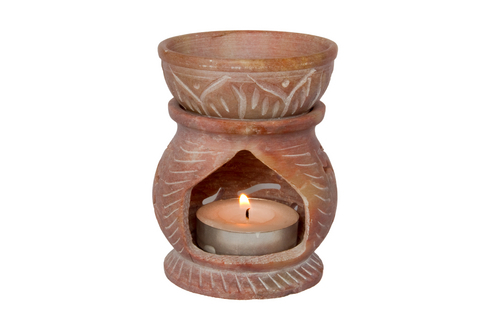 There are tea light burners, tin burners, burners that melt with light bulbs, and electric ceramic burners. So which one is best? While it is a matter of personal preference, there are some facts to consider before making a tart warmer purchase. Tealight burners (which require a tealight candle to melt the tarts) may not melt the tart completely, and fragrance may not be as strong (and if you’re trying to avoid an open flame, this defeats the purpose). With light bulb burners, you will have to replace bulbs. Many consumers today are turning to the electric plug in tart warmers with the removable bowls. These are my personal favorites, and are currently carried in many retail stores across the internet… one great source is Tartburners.com. They melt the tarts nicely, don’t get overly hot, and you can turn them on and off with a click of a button. With the electric warmers, you never have to replace light bulbs or use tea lights. Using an electric tart warmer is ideal for dorms, nursing homes, offices, or other places where an open flame is forbidden. Do keep in mind, just like a candle, you should NEVER leave a tart warmer unattended. Tarts are a wonderful alternative to candles. Decorative, highly scented, long lasting, and no flames make these wonderful wax tidbits a fantastic alternative to burning candles during these hot summer months. Deirdre Motley ”“ former owner of The Blue Gecko Candle Co. Deirdre was an incredible candle chandler but decided to close her business to spend more quality time with her family. She is now a staff writer for Candlefind and we are SOOO happy to have her on board. My journey from scented candles to wax melts was an unexpected one. Scented candles have always been a part of my life and it wasn’t until 2014 when I was diagnosed with cancer that I began re-evaluating my lifestyle choices, eating habits and behaviors. After discovering a large majority of mass marketed candles contain harmful chemicals and additives in their products, I was unwilling to simply walk away from using scented candles. Instead, I set out to design the perfect medium in order to create a highly fragrant, clean burning, pure and natural product that was safe for my family, my pets and the environment. My pets were an integral part of my healing process and after nearly 18 months of research and working with various medical, holistic and naturopathic practitioners, I created a line of 100% organic and captivatingly fragrant scented wax melts designed in the shape of a paw. Why the paw? To pay tribute to our furry friends who help us through life’s difficult times. We also donate a portion of our profits to animal shelters. I don’t know whether the frequent use of scented candles had any influence on my health prior to my diagnosis, but I do know that I will NEVER again use any scented candle/wax melt that isn’t 100% organic and natural. My health and that of my family and pets is far too precious to take the risk.